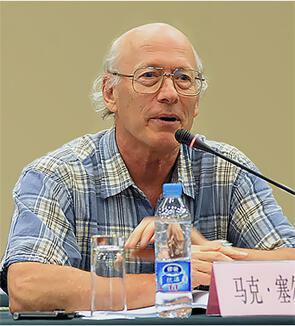 Senior Research Associate in the East Asia Program at Cornell University, the editor of the online Asia-Pacific Journal: Japan Focus and of book series at Rowman and Littlefield, Lexington and Routledge publisher, and Emeritus Professor of Sociology and History at the State University of New York at Binghamton. His work centers on the modern and contemporary geopolitics, political economy, history, and societies of China, Japan, Korea and the Asia-Pacific with particular attention to themes of war, peace, revolution, inequality, the environment, world social change and historical memory. In 1968 he was a founding member of the Committee of Concerner Asian Scholars and for more than thirty years served as an editor of the Bulleting of Concerned Asian Scholars and its successor Critical Asian Studies. He is the author or editor of more than twenty-five books and editor of book series at Rowman & Littlefield, Routledge, Lexington, and M.E Sharpe Publishers. He lives in New York and can be contacted at mark@markselden.info. 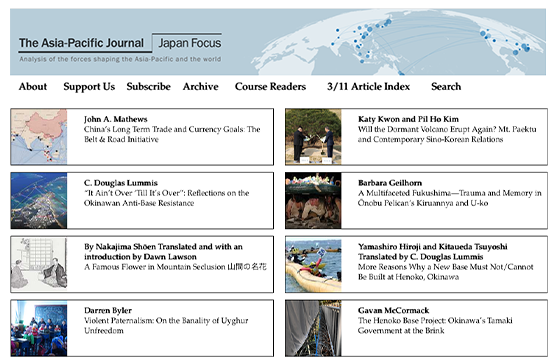 The Asia-Pacific Journal: Japan Focus is a peer-reviewed on-line publication providing critical analysis of the forces shaping the Asia-Pacific and the world. The Journal explores the geopolitics, economics, history, society, culture, international relations and environment of the modern and contemporary Asia-Pacific region.